Accenture last week scooped up two companies to solidify the product innovation component of its Industry X.0 practice, which aims to help clients develop smart connected products and services. The IT consulting firm acquired Mindtribe, a hardware engineering firm based in San Francisco. Mindtribe uses Agile techniques to create connected hardware that integrates with digital services. Accenture also entered into an agreement to purchase Pillar Technology, a Columbus, Ohio, smart embedded software company. Pillar Technology develops embedded software used in smart connected products such as autonomous vehicles, according to Accenture. Smart connected products embed software, sensors, RFID tags, microprocessors and other smart elements. Those components, coupled with wireless and other connectivity options, let the products connect to the user, manufacturer or other products. The internet of things may serve as the communications backbone for smart connected products. Such digital products challenge traditional manufacturers to rethink how they conceptualize, design and manufacture their offerings. 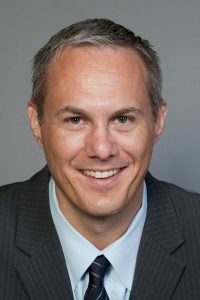 For example, turning a prosaic item such as a coffeemaker into a digital product might involve complex software, sensors, radio frequency engineering, companion mobile apps, an IoT platform and a layer of cybersecurity, noted Craig McNeil, managing director at Accenture and North American lead for Industry X.0. Industry X.0 seeks to transform four areas: product innovation; design and engineering (including product lifecycle management and computer-aided design); manufacturing and production; and service and support. Mindtribe and Pillar Technology will help strengthen Accenture’s capabilities in the first category, McNeil said. The two acquisitions will boost X.0 in the North American market in particular, he noted Accenture’s earlier acquisition of Designaffairs fulfills that role on a more global scale, he added. Designaffairs, a strategic design consulting firm, has studios in Germany, China and the U.S.
McNeil said different industries are at different places in their digital products journeys. The farthest ahead in implementation are heavy equipment, automotive and some high-tech manufacturers, along with oil and gas companies and utilities companies. “Those companies get it and they are really going after it,” McNeil said. The next wave of companies following firms in those industry sectors are consumer products companies, he noted. Manufacturers in that space “are definitely kicking the tires and experimenting at scale,” he said. Following that wave will be companies in lower-margin businesses such as retailers, McNeil said. Companies with thinner margins take a bit longer to make investments in such endeavors as smart connected products. Most companies, however, will eventually embrace digital products as a matter of necessity. An Accenture survey last year found that more than 90% of the C-level and vice president-level respondents said their companies would risk going out of business if they failed to make a play in the connected world. “They know they have to make a change,” McNeil said.